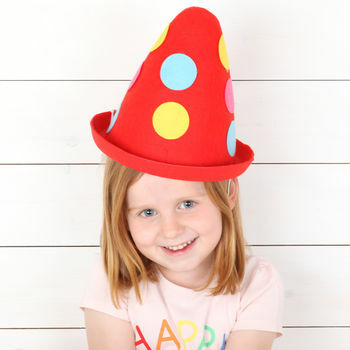 An oversized felt party hat or clown hat for fancy dress. 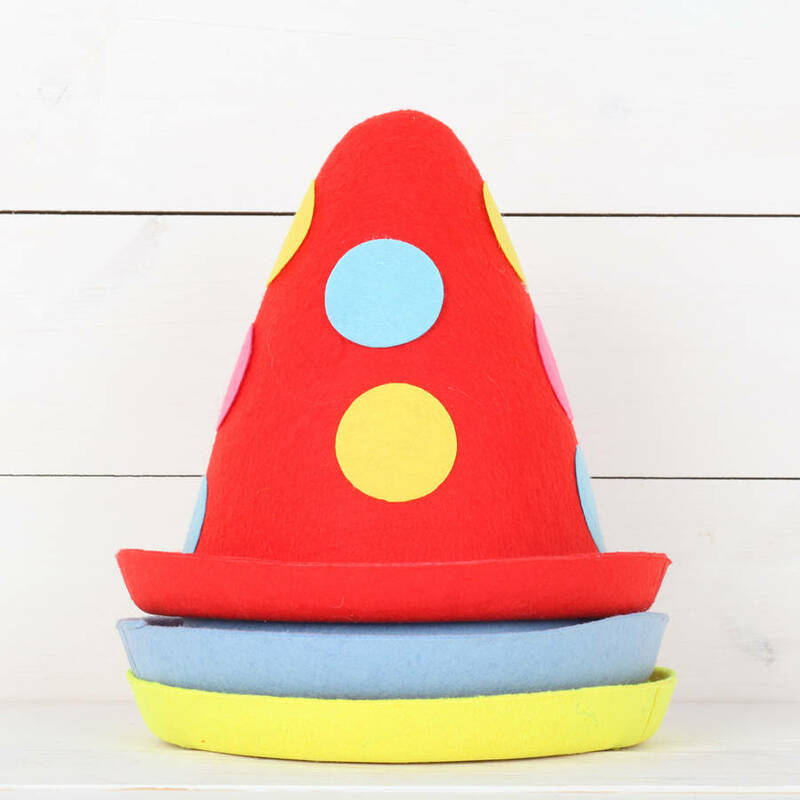 These felt covered party hats are great for the finishing touch to your clown halloween costume. 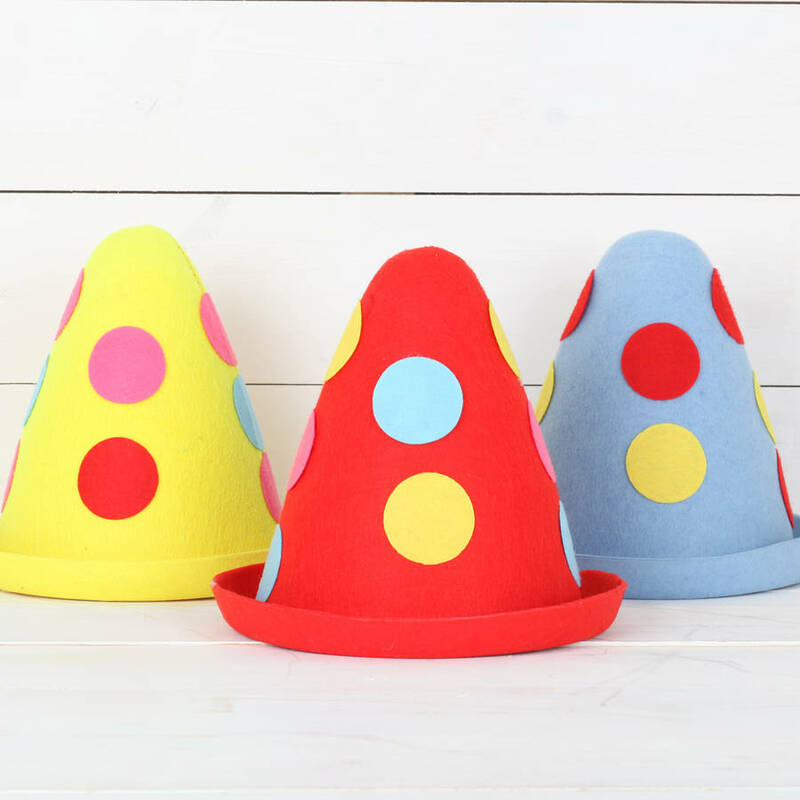 Available in either red, yellow or blue they each have coloured felt dots going around the hat. A long length of elastic is attached which can be tied to suit the length you need. Would also make great party decorations for a birthday table or perhaps as an oversized birthday hat for kids.